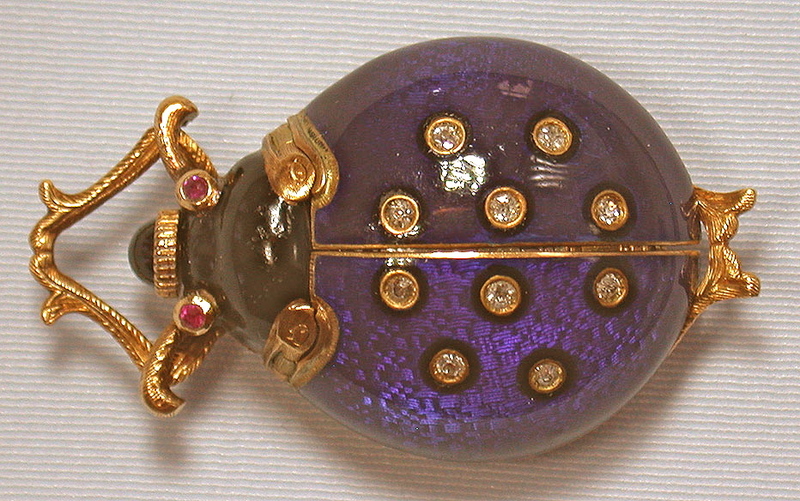 Fine 18K gold, enamel, diamond and ruby beelte-form ladies antique pendant watch circa 1910. 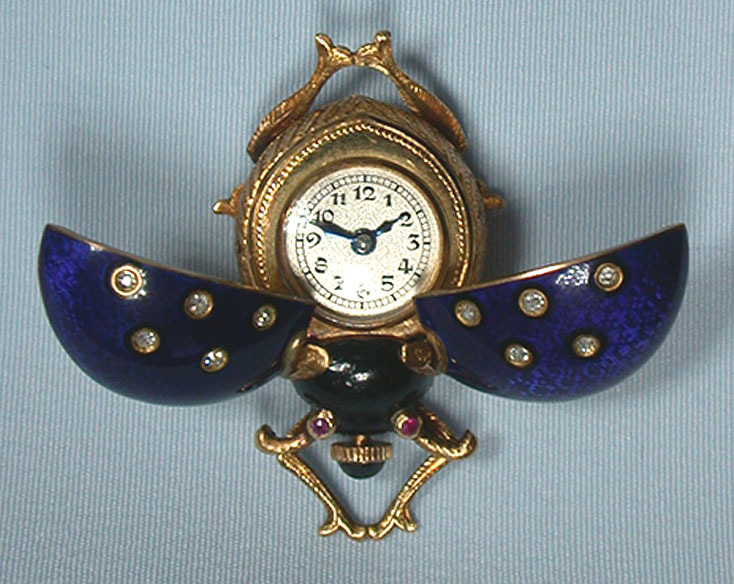 The diamond set wings of dark blue enamel over engine turning spring open to expose the silver dial. 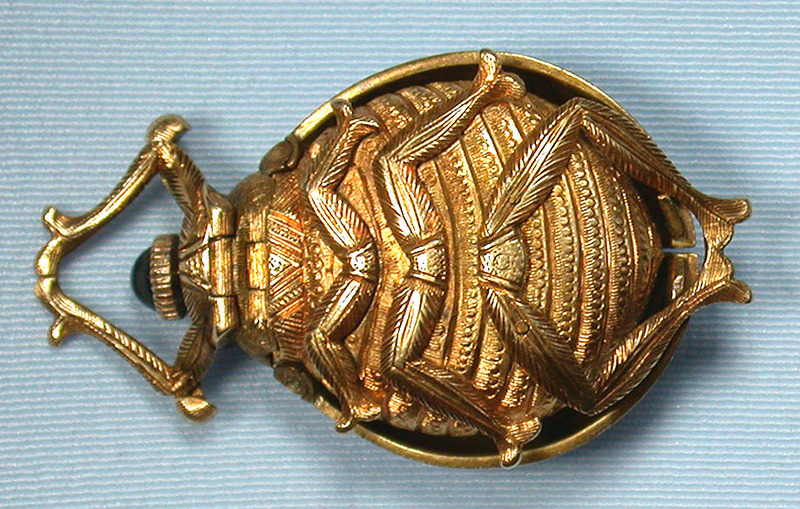 Realistically modeled body opens to expose the nickel 18 jewel movement under a crystal. 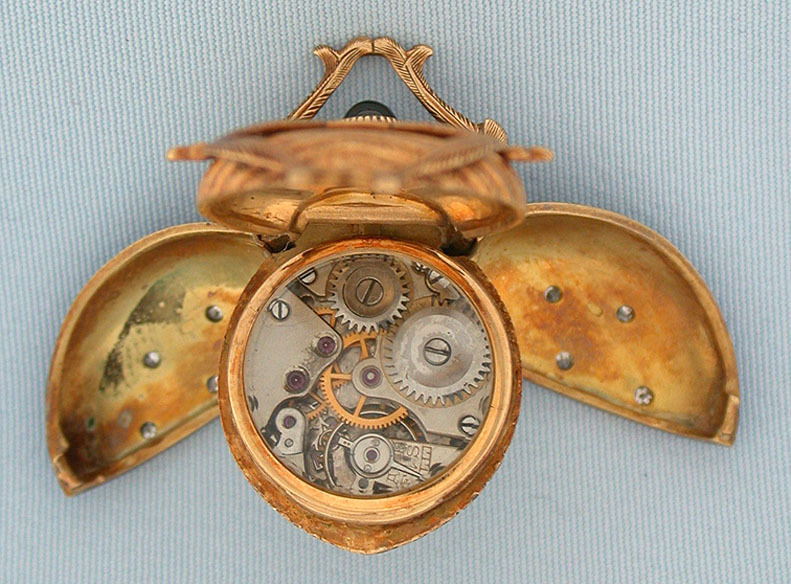 A charming watch in particularly fine condition throughout.